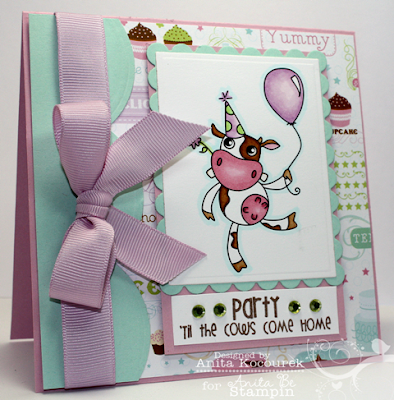 Anita Be Stampin: Free Shipping Through Sunday! Such an adorable card, Anita! Love the image and the coloring. absolutely love the card and everything you have done with it. Especially love the ribbon. My bows are awful !! So cute Anita!!!! I love these new stamps of yours!!! They are awesome!! Great card!! !